Products created to treat and care for the skin, and bring out the best of its inherent beauty, are only as good as the ingredients they’re crafted from. At BELLAME, we take pride in the thoroughly researched, science-backed ingredients in our four-piece ACQUA LUMIERE collection, some of which are proprietary and exclusive. Here, a deep dive into what makes ACQUA LUMIERE not only wildly effective, but a pure pleasure to use. Caution:This tea formulation may Improve Mood and Reduces Stress; May Improve Brain Function; May Improve Antioxidant Levels; May helps with Weight Loss and Weight Management; May Improve Libido; May help boost Immune System. 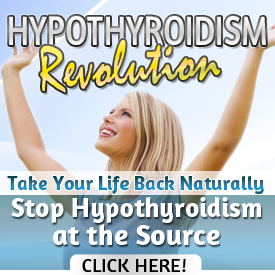 The Absolute Best program if you have Hypothyroid problems. ​If you know anyone like me, running out of steam, and doesn’t like to use drugs, give them this website. Now 8 years later there are a total of 7 patches. Sleep, Anti-Aging (3 of them) Pain, (my favorite), Appetite and the new X39 Stem Cell. So if you know anyone like me, in pain, or is tired all the time and doesn’t want to do drugs or procedures, give them this site. I have tried them all, but over the last 40 years I always end up coming back to MaryKay Cosmetics. The World’s Most Advanced Rife Machine! It has been used to bring cancer tumor markers down by 900%! Light stream therapists have also used it for lyme disease, back and joint pain, as well as a long list of other serious diseases. Program Your Home for Health, Peace, Balance and Prosperity. It doesn’t simply block harmful EMF’s, it harmonizes and transforms them into positive frequencies from nature, while broadcast healing and energetic frequencies throughout your entire home! It’s energy field can cover 2000 square feet around the vortex generator!